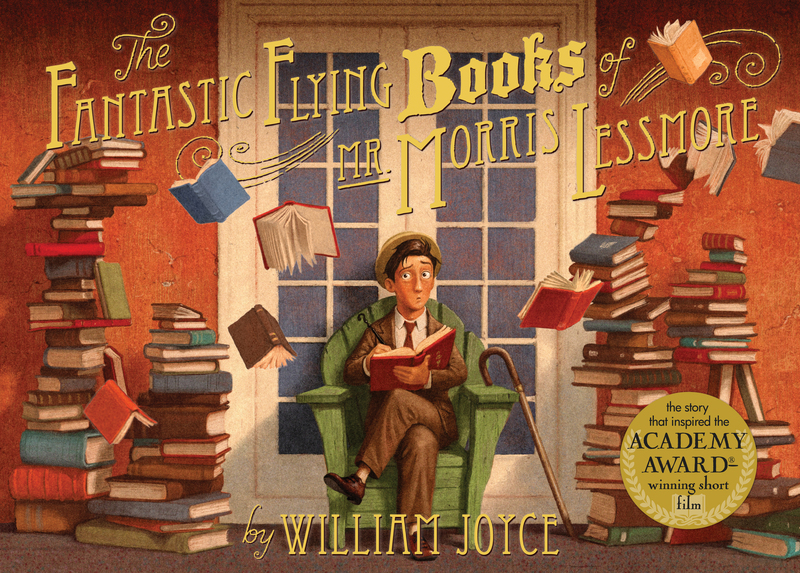 Joe Bluhm is an Academy Award–winning artist who worked with William Joyce on The Fantastic Flying Books of Mr. Morris Lessmore. He’s also a character designer, animator, and recovering theme park caricaturist. He lives in Louisiana. Visit him at JoeBluhm.Blogspot.com. * "Ironically, this book in praise of books first appeared as a much-praised iPad app and Academy Award–winning animated short film. "Joyce’s magnificently illustrated book-about-books inspired—yet arrives after—his 2011 animated short film of the same name, which won an Oscar. The unusual sequence of film-to-book (there’s an app, too) suggests that while books are indeed glorious things, what really matters is story. This one follows a dreamy bibliophile named Morris Lessmore, who loses his cherished book collection to a cataclysmic storm that’s half Katrina (Joyce is from Louisiana) and half Wizard of Oz. After meeting a “lovely lady... being pulled along by a festive squadron of flying books,” Morris finds an abandoned library whose books are alive and whose covers beat like the wings of birds. They flutter around him protectively, watch as he starts writing again, and care for him as he ages: “They read themselves to him each night.” Underneath this book-about-books, there’s a deeper story of love, loss, and healing, one that will be appreciated as much (if not more) by adults as by children." * "If you loved the Oscar-winning film that goes by the same title, you will take to heart the book on which it is based. 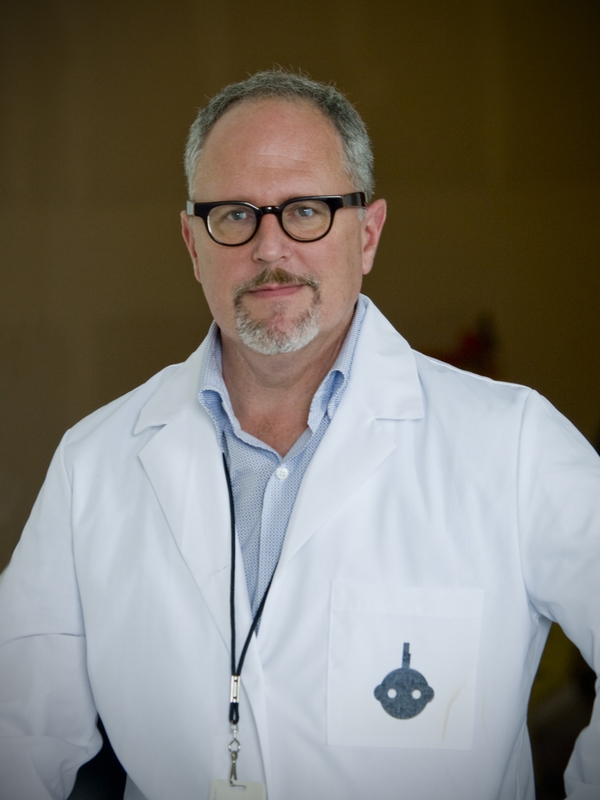 William Joyce exploits each medium to the fullest. In Joyce's artwork, the books come to life as a full cast of characters. After Morris repairs a damaged book, he reads it to revive it. He runs across the tops of capital letters and dangles from the hook of a J. 'All stories matter,'" he concludes. As Morris distributes books to his queued-up neighbors, they turn from black-and-white sketches to full-color portraits. In the most moving scene, the books surround the now white-haired man: 'Morris Lessmore became stooped and crinkly. But the books never changed. Their stories stayed the same,'" and they care for him as he has cared for them. Morris stands in for all book lovers, and reminds us of the way stories live on only when we share them." JOYCE, William. The Fantastic Flying Books of Mr. Morris Lessmore. illus. by author. 56p. S & S/Atheneum. 2012. ebook $12.99. ISBN 978-1-4424-6489-6; Tr $17.99. ISBN 978-1-4424-5702-7. Pre-Gr 3–Joyce’s Academy Award-winning animated short-film-turned-app that celebrates those who care about (and receive nourishment from) books is, ironically, now a picture book. The wonder and mystery inherent in the wordless film and the ability to manipulate the visuals and play the soundtrack on the app’s piano beg the question: Can the book compete? As it turns out, the book has its own rewards. Clarity comes from Joyce’s well-chosen words. In the opening on a New Orleans balcony, readers learn that Morris “loved words…stories…books.” Every day he would “write of his joys and sorrows, of all that he knew and everything that he hoped for.” When an Oz-like storm turns everything topsy-turvy, the melancholy man in the pork-pie hat spots a lady held aloft by a “festive squadron of flying books.” Her gift leads Morris to a book-filled sanctuary set in a landscape staged and lit like a Maxfield Parrish painting. He tends to the volumes, distributing favorites to visitors, whose once-gray bodies blossom with color. Every life and story ends, and those struggling with their own goodbyes (and yearnings about printed books) may find comfort in seeing the fading elder revert to his younger self in order to be transported by the joyful squadron–just as a little girl arrives to choose Morris’s story. The author’s motivations (explained on the flap) will resonate with adults in the reading business. The best part? Lingering quietly while savoring the atmospheric scenes of Joyce’s narrative vignette. "Joyce’s Academy Award-winning animated short-film-turned-app that celebrates those who care about (and receive nourishment from) books is, ironically, now a picture book. The wonder and mystery inherent in the wordless film and the ability to manipulate the visuals and play the soundtrack on the app’s piano beg the question: Can the book compete? As it turns out, the book has its own rewards. Clarity comes from Joyce’s well-chosen words. In the opening on a New Orleans balcony, readers learn that Morris “loved words…stories…books.” Every day he would “write of his joys and sorrows, of all that he knew and everything that he hoped for.” When an Oz-like storm turns everything topsy-turvy, the melancholy man in the pork-pie hat spots a lady held aloft by a “festive squadron of flying books.” Her gift leads Morris to a book-filled sanctuary set in a landscape staged and lit like a Maxfield Parrish painting. He tends to the volumes, distributing favorites to visitors, whose once-gray bodies blossom with color. Every life and story ends, and those struggling with their own goodbyes (and yearnings about printed books) may find comfort in seeing the fading elder revert to his younger self in order to be transported by the joyful squadron–just as a little girl arrives to choose Morris’s story. The author’s motivations (explained on the flap) will resonate with adults in the reading business. The best part? Lingering quietly while savoring the atmospheric scenes of Joyce’s narrative vignette."